E-mail: info@brasseursrj.com www.brasseursrj.com Les Brasseurs RJ was formed in 1998 after a merger between three Quebec Micro-Breweries; Les Brasseurs GMT, La Brasserie Cheval Blancand Les Brasseurs de l’Anse. Under the leadership of its founding President Roger Jaar, Les Brasseurs RJ quickly stood out in the brewing community. Supplying such local and tasty favourites as Belle Gueule and Cheval Blanc, Les Brasseurs RJ is easily recognised as one of Montreal’s premiere local breweries. E-mail: pubsaintpierre@gmail.com www.saintpierrepub.com A little pub for a big experience locally situated in Old Montreal on one of the oldest streets in the Old Port, Rue Saint Pierre. 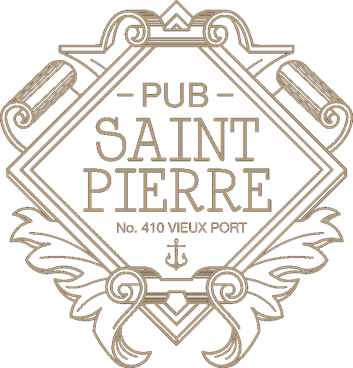 Pub Saint Pierre is establishing a sense of community in Old Montreal with friendly staff and a warm inviting setting. Our philosophy is “Not your ordinary Pub.” We offer innovative and healthy fare from around the Pacific. Our team is international and we support our staff in creating specialties form their regions.